A denture is an easily removable replacement for missing teeth and adjoining tissues. It is made of acrylic resin, in some cases in combo with a variety of metals. Complete dentures take the place of all the teeth, while a partial denture fills the spaces created by missing teeth and prevents other teeth from turning. Candidates for complete dentures have lost most or all their teeth. A partial denture is suitable for those who have a few original teeth remaining. A denture enhances chewing ability and speech, and delivers support for facial muscles. It will greatly improve the facial look and smile. Complete or full dentures are prepared when all of your natural teeth are missing. You may have a full denture on your upper or lower jaw, or both. Complete dentures are called “conventional” or “immediate” based on when they are made and when they are placed inside the mouth. Immediate dentures are put in promptly after the removal of the lingering teeth. To make this attainable, the dentist takes measurements and makes the models of the patient’ s jaws during a first visit. 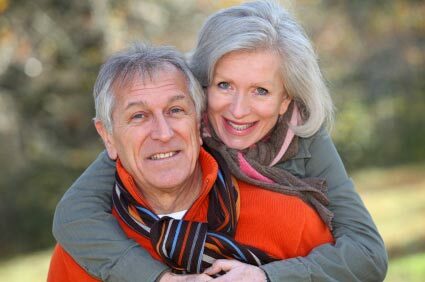 An advantage of immediate dentures is that the individual does not have to be without teeth during the recovery time period. However, bones and gums can diminish with time, particularly during the period of healing in the first six months following the reduction of teeth. When gums shrink, immediate dentures may require rebasing or relining to fit correctly. A conventional denture can then be made once the tissues have healed. Healing may take a minimum of 6-8 weeks. Partial dentures are commonly a solution when multiple teeth are missing. Removable partial dentures usually are composed of substitute teeth connected to pink or gum-colored plastic bases, which are linked by metal frame. Detachable partial dentures affix to your original teeth with metal clasps or devices called precision connections. Precision attachments are usually more aesthetic than metal clasps and are close to hidden. Crowns on your natural teeth could enhance the fit of a removable partial denture and they are usually required with attachments. Partials with precision attachments generally cost greater than those with metal clasps. The denture process takes approximately one month and five scheduled appointments: the primary prognosis is made; an impression and a wax bite are produced to identify vertical dimensions and appropriate jaw position; a “try-in” is placed to ensure proper color, shape and fit; and the patient’ s complete denture is placed, following any minimal adjustments. At the outset, an impression of your jaw is created using specific materials. Additionally, measurements are made to demonstrate how your jaws connect to each other and just how much space is between them (bite relationship). The color or shade of your regular teeth will also be identified. The impression, bite and shade are given to the dental laboratory so a denture can be custom-built for your mouth. The dental laboratory creates a mold or model of your jaw, positions the teeth in a wax base, and etches the wax to the specific form wanted in the finished denture Routinely a “wax try-in” of the denture will be conducted at the dentist’ s office so any corrections can be done before the denture is completed. The denture is finalized at the dental laboratory using the “lost wax” technique. A mold of the wax-up denture is created, the wax is removed and the remaining space is filled with pink plastic in dough form. The mold is then heated up to strengthen the plastic. The denture is then polished and all set for wear. For the initial handful of weeks, a new denture may feel awkward or cumbersome. Nevertheless, your mouth will ultimately become acclimated to wearing it. Placing and removing the denture will require some training. Your denture should effortlessly fit into place. Never push the partial denture into position by biting down. This could bend or break the clasps. Initially, you may be asked to wear your denture at all times. Although this may be temporarily uncomfortable, it is the quickest way to recognize those denture components that may need adjustment. If the denture adds too much pressure on a certain area, that spot will become irritated. Your denture can be adjusted to fit more pleasantly. After making modifications, you may need to take the denture out of your mouth before going to sleep and replace it in the morning. Start by eating delicate foods that are divided into small-sized portions. Chew on both sides of the mouth to keep adequate, even pressure on the denture. Avoid sticky or hard foods, including gum. It’s ideal to stand over a folded hand towel or a sink of water when managing your denture, just in case you inadvertently drop it. Comb the denture (preferably with a denture brush) daily to extract food deposits and plaque, and keep it from becoming permanently stained. Avoid using a brush with hard bristles, which can damage the denture. Search for denture cleansers with the American Dental Association (ADA) Seal of Acceptance. Pay close focus to cleansing teeth that fit under the denture’s metal clasps. Plaque that becomes trapped under the clasps will increase the risk of tooth decay. Hand soap or gentle dishwashing solution to clean dentures is also acceptable. Other types of home cleaners and many toothpastes are too rough and should not be used for cleaning dentures. A denture could lose its correct shape if it is not kept wet. At night, the denture should be inserted in soaking solution or water. However, if the denture has metal attachments, they can be tarnished if placed in soaking solution. Even with full dentures, you still need to take good care of your mouth. Each morning, brush your gums, tongue and palate with a soft-bristled toothbrush before you put in your dentures. This gets rid of plaque and stimulates circulation in the mouth. Selecting a balanced diet for proper nutrition is also important for retaining a healthy mouth. Over time, readjusting the denture may be necessary. As you get older, your mouth naturally changes, which can impact the fit of the denture. Your bone and gum ridges can retreat or shrink, resulting in a loose-fitting denture. Loose dentures can cause different problems, including sores or infections. Dentures that do not fit appropriately can be adjusted. Avoid using a do-it-yourself kit to rectify your dentures, as this can damage the apparatus beyond repair. Glues sold otc often contain hazardous chemicals and should not be used on a denture. If your denture no longer fits correctly, if it cracks, cracks or chips, or if some of the teeth becomes loose, see your dentist promptly. In most cases, dentists can make essential adjustments or repairs, often on the exact same day. Complex repairs may require that the denture be sent off to a special dental laboratory. In time, dentures will have to be relined, re-based, or re-made because of regular wear. To reline or re-base a denture, the dentist uses the existing denture teeth and refits the denture base or makes a new denture base. Dentures may have to be replaced if they become loose and the teeth show signs of considerable wear. Eating will take a little bit of practice. Start with soft foods cut into small pieces. Chew slowly using both sides of your mouth concurrently to keep the dentures from tipping. As you become adjusted to chewing, add other foods until you return to your normal diet. Some people worry about how dentures will affect their speech. Consider how your speech is afflicted when you have a number of your natural teeth missing. Pronouncing particular words may require practice. Reading out loud and repeating bothersome words will help. If your dentures “click” while you ‘re talking, speak more slowly. You may find that your dentures sometimes move when you laugh, cough or smile. Shift the dentures by gently biting down and swallowing. If a speaking problem persists, get in touch with your dentist. Denture adhesives can provide additional holding for well-fitting dentures. Denture glues are not the solution for old, uncomfortable dentures. A badly fitting denture, which causes constant irritation over a long period, may trigger the development of sores. These dentures may need a reline or need to be replaced. If your dentures start to feel loose, or cause pronounced discomfort, talk to your dentist immediately.